Mini-Golf is safe, family fun…Right? Well, it is when played correctly! 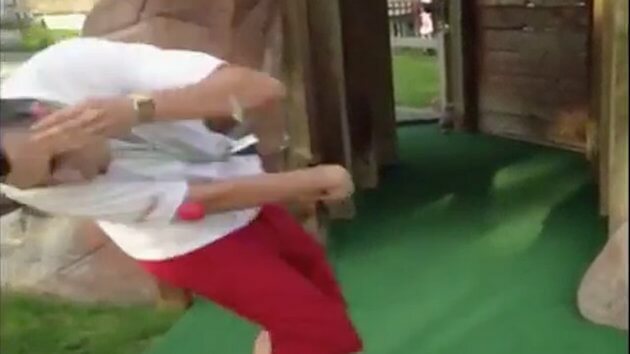 This mini golfer learns the hard way that it’s not the greatest idea to try to smash the cover off the ball with a putter at close range. McIlroy loses it after seeing rugby player hit drive.